What is a Low E Glass: Know Before Buying! Glass is a versatile material which is used in building industry since ancient times. Traditionally it was only used in windows and doors so as to get natural sunlight during the daytime. As technology has advanced, glass is now significantly used façades, interior partitions, balustrades, railings for stairs and balconies, roofs, etc. Due to its durability and sustainability, glass is commonly used in glass facades of commercial and large structures. Glass acts as a medium of energy transfer between indoor and outdoor environment, which can lead to energy loss from interiors and increase the cost of electricity bills. Different types of high performance glass are available in the market to improve energy utilization and decrease the operating cost of a structure. Low e glass is one type of high performance glass which has very good thermal insulation properties. Here we have given brief information on low e glass, its types and pros and cons, which homeowners should know before buying glass for their house. Low emissivity glass commonly known as low e glass has excellent thermal insulation properties. A special coating is applied to the glass which allows only visible light to enter the room and thus gives protection from UV and infrared rays. This coating is also called low e coating, which imparts thermal insulation property to the glass. Low e glass acts as a barrier between inside temperature and outside temperature, thus preventing energy transfer. The low e coating helps in maintaining the temperature of your interior, by reflecting the energy waves back into the room. In winters, the low e glass will not allow the heat of the interiors to escape through windows and reflect the warmth back into the rooms. So the heating system of the house does not have to maintain the temperature continuously, which leads to decrease in cost of electricity. Low e glass also blocks most of the infrared radiations, so the heat coming to the building in summer is reduced up to some extent. Hence it keeps the interiors cooler in summer and helps in reducing the cost of air conditioning. They are extensively used in commercial buildings, skyscrapers, glass facades, etc. There are two types of low e coating based on the method of application; Hard-coat and Soft-coat. Hard coating also referred to as on-line coating is done during the manufacturing process of glass. The coating is applied when the glass is in the molten state and is on the float-line, where it is gradually cooled. As the coating is applied when the glass is in the molten state, the coating fuses where tightly to the glass. Hard coated low e glasses are commonly used in glass facades of residential buildings. Soft coating also referred to as off-line coating is done after the glass is manufactured. The coating is applied in vacuum chambers at room temperature. Soft coated low e glass provides better thermal insulation as compared to the hard coated glass but has low resistance to scratches. Thus soft coated low e glass is generally used in the form of insulated glass units and double glazed units. Also Read: Types of Glass & Its Architectural Features! Low e glass block UV rays from entering the room and thus prevents the fading of colours of fabrics on the furniture, leather, carpets, etc due to direct sunlight. They help in reducing electricity bills, as they maintain the temperature of the room at the desired level. Low e glass provides better performance as compared to single glazing glass and double glazing glass. So it is extensively used in glass facades in cold climates. The additional low e coating increases the durability of the glass, as it provides protection against dirt and sand. It is easy to maintain low e glass as it prevents water particles from sticking to the surface of the glass during the rainy season. Low e glass reduces condensation in the summer season which occurs due to contact with warm air to cooler air of interior; hence water droplets do no stick to the window glass. The major disadvantage of low e glass is it is expensive as compared to normal glass. For facades, which are in direct contact with sunlight, low e glass will trap the heat radiating from objects inside, which may lead to overheating of interiors. Low e glass sometimes provides a hazy view as compared to normal glass, so clarity of vision through glass windows is reduced. Owning to its advantages, low e glass is now popularly used as glass facades in commercial and industrial structures. 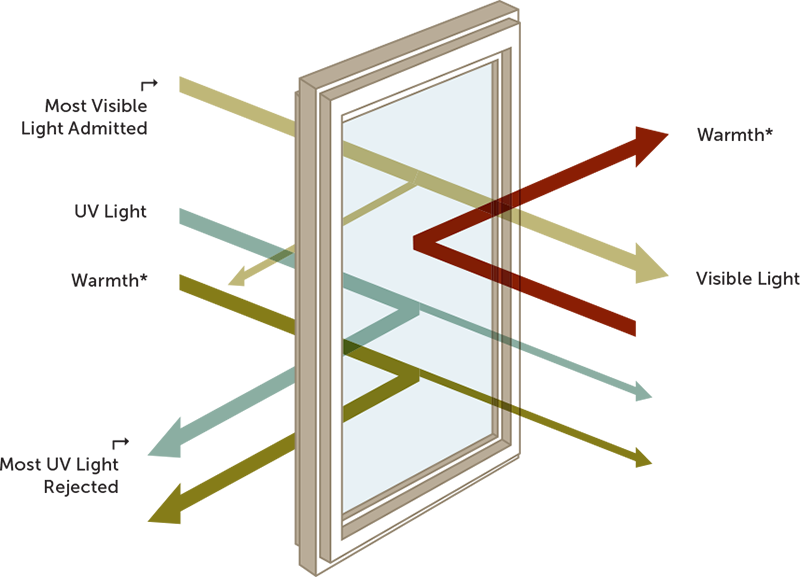 Due to increasing awareness, its use in residential buildings in the form of glass windows has increased. The initial cost of installing low e glass is high, but in the long run, it will be more economical as compared to normal float glass.